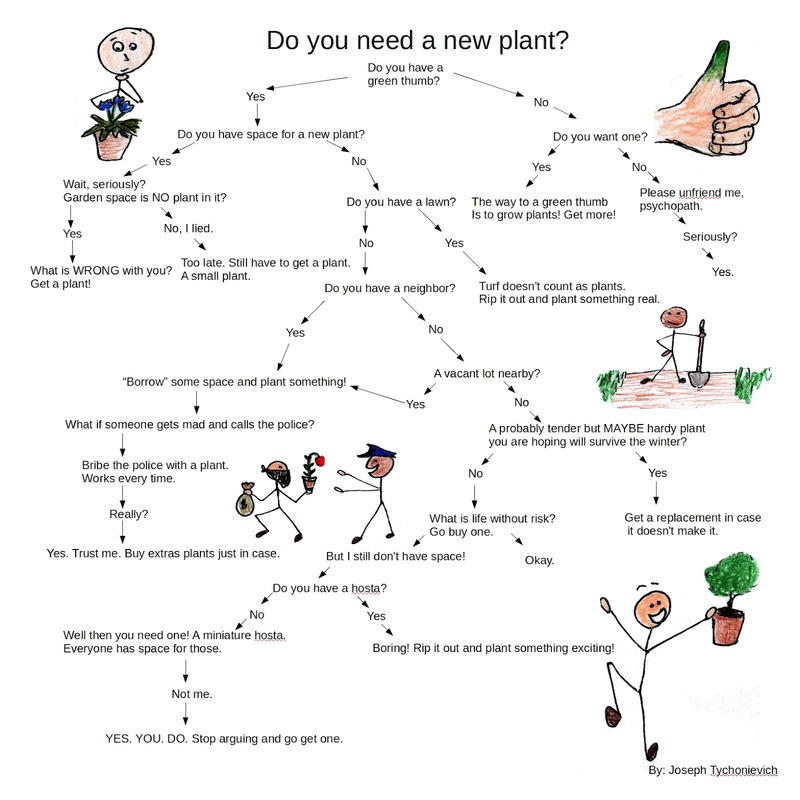 Do you need a new plant? 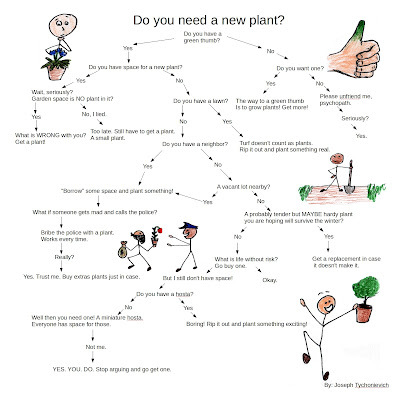 Trying to decide if you need more plants? And yes, that is a pickup truck. The bed was already full. And those plants are, sarracenia pitcher plants! This what many of these plants look like growing in a bog garden we visited. Along with venus fly traps, and sundews. All cool carniverous plants... and growing outside in zone 5 Illinois. I vaguely knew that these were native, hardy plants, but until I saw them growing so happily and beautifully in ground in Illinois it never really struck me what cool and useful garden plants they are. So, thanks to Stan's incredibly generosity, I loaded up with an amazing collection of pitcher plants, and back at Arrowhead, started preparing them a place to live. Basically all hardy carniverous plants grow in very acidic, nutrient poor bogs. That's what they catch bugs -- they don't really eat them, they simply break them down as a source of nitrogen and other nutrients. Bugs as fertilizer. 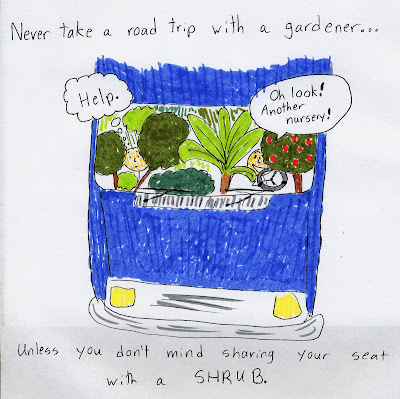 (most tropical carnivorous plants grow in another nutrient poor situation -- as epiphytes on the branches of trees.) So, to grow them at the nursery, I've built an artificial bog along the side of one of our greenhouses. We dug out an existing (weedy, over grown) bed, put down a pond liner, and filled it with a mixture of peat and sand. I divided each plant, and into the bog they went. I've got to say, so far, these are some of the absolutely easiers plants to take care of. With most plants you have to walk the line between over and under watering. These guys want to be totally soggy, so as long as they're not actually submerged, they seem to be pretty happy. The only trick is keeping the water acidic. Most tap water is quite alkaline with disolved minerals, and will bring the pH up too much. Positioning this bed where it catches the runoff from the roof of the greenhouse means they get mostly rainwater, which is what they prefer, only getting water from our well as a last resort. I'm really excited about this new collection of plants! Once they bulk up a little, we'll be listing them in the catalog. So dramatically beautiful and unlike anything else we grow. Flies around the nursery better look out.